If you’ve thought about outfitting your vessel with a thermal camera or new MFD, now is the time. Big Thermal Savings starts with a $250 rebate on FLIR M232 thermal cameras, but the deals don’t end there. Buyers can receive an additional $500 rebate when a nine-inch or larger Axiom, Axiom Pro or Axiom XL multifunction display is purchased with their new FLIR M232. For a limited time, Raymarine is also offering big incentives on some of its most popular radar and autopilot systems. No matter the vessel type or your style of boating, Raymarine Superior Savings means great deals on the technology that’s right for you. Earn $200 on your purchase of an EV-100, EV-150 or EV-200 autopilot system. Earn $400 on your purchase of an EV-300, EV-400 or EV-DBW system. Earn $100 on your purchase of HD, Quantum or Quantum 2 Radomes. Earn $300 on your purchase of Magnum Open Array Radars. But act fast; the Big Thermal Savings Promotion and Raymarine Superior Savings Sales Event only run until December 31, 2018. 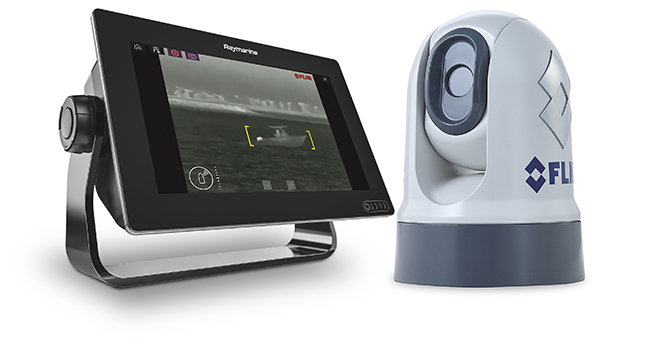 To download the Raymarine Big Thermal Savings Promotion rebate form, visit: https://www.flir.com/promotions/marine/m232-axiom-fall-rebate/.